This letter is a short, explicit expression of the joy of material success. Professor St. Peter is Godfrey St. Peter, the protagonist of The Professor’s House. The sales of that book gave Cather a windfall that allowed her to buy a mink coat. She wanted to be prudent and get it insured, and she knew her friend Irene Miner Weisz’s husband could help her. Cather’s indulgence in a mink coat was made possible by a crucial business decision Cather had made about five years earlier. Disappointed with Houghton Mifflin’s insipid marketing of her first few novels, Cather decided to switch publishers. After letting Alfred A. Knopf publish her short story collection Youth and the Bright Medusa in 1920, Cather decided to make a fuller commitment to the young publisher. He brought out One of Ours in 1922 with great success; the novel won the Pulitzer Prize and made the publisher and his author a considerable sum of money. He believed in Cather as a writer, and he understood how to market her to the reading public. She was a great literary artist, and her books should be published with a craftsmanship and pride reflecting that fact. Sometimes short paragraphs praising her books were published on the dust jackets above the signature of Alfred Knopf himself. Publicly and privately, Knopf treated Cather with respect due a great talent. The public responded to Cather’s work and Knopf’s marketing of it, and after One of Ours the 1920s saw a string of critical and commercial successes: A Lost Lady (1923), The Professor’s House (1925), My Mortal Enemy (1926), and Death Comes for the Archbishop (1927). When Shadows on the Rock was published in 1931, demand for Cather’s books was so high that it was the second highest selling novel in the United States that year. Cather had spent years working and supporting herself as a journalist and teacher, not risking the life of a professional novelist until she was nearly forty years old. But she did want to be a professional writer exclusively, and she knew that selling a good number of books was crucial to making that happen. The remarkable productivity of the 1920s was possible because Knopf could help her books make money, and he did not demand she succumb to publicity appearances and lectures to make that happen. 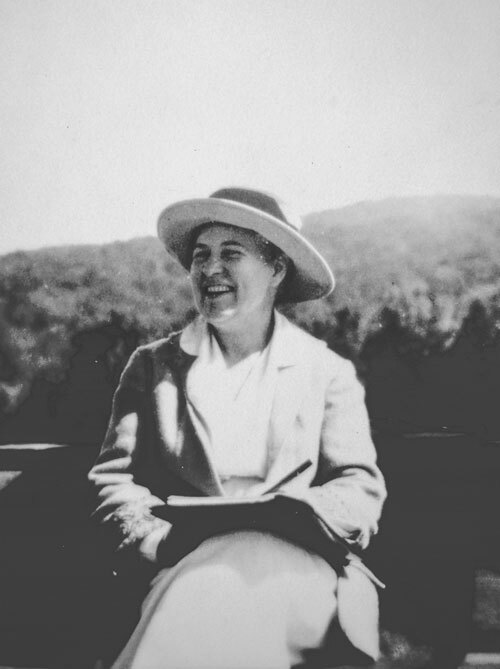 With money and time, Cather had the freedom and peace to write, and write well.